When you die, it doesn’t matter how long it lasts you still died. Brian Toomey was announced clinically dead for six seconds after his horrific fall at Perth racecourse back in 2013. Toomey was riding Solway Dandy for trainer Lisa Harrison. The horse made a few novicey mistakes during the hurdle contest, however three fences from home Solway Dandy made a colossal error, leaving Toomey no choice but to take the full force of horror fall, crashing on the hard summer ground, comparably to going through a brick wall at high speeds. Toomey was given a low 3% chance of survival, unavoidably he was placed in an induced coma for over two weeks, after which he underwent surgery to try to decrease the swelling and pressure on his brain. The medical specialists told Toomey’s family the outcome for his recovery wasn’t good nevertheless Toomey decisively proved them all wrong, they don’t call him the miracle man for nothing. 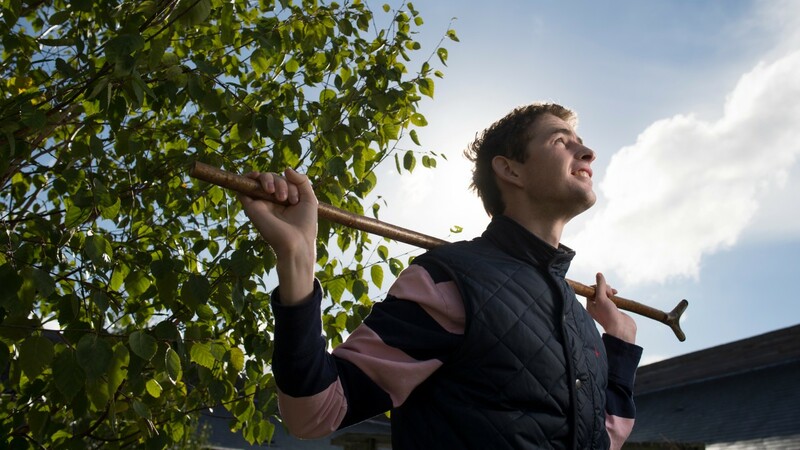 So, you could say Toomey has had to overcome more hurdles in life than most, and the strong-minded young man is now determined to become a racehorse trainer, he grasps his riding career is entirely over, not because of his self-belief purely because of medical reasons, one more fall would be the demise of his life. “I am happy to tell my story, not many are privileged enough to describe what is was like enduring a life-threating brain trauma and death nevertheless here I am which I hope shows everyone my true passion for the game and also my determination to become a racehorse trainer, through all my struggles I have never given up hope. For a very long time after my fall it seemed very hard to switch my brain on, once it was on, I struggled to switch of to enable me to be able to sleep at night. I was very down in my luck and I had to go through a lot of very excruciating days and unbearable nights. However, with the support of my loving family and close friends I have fought of them demon’s, if anything from this whole ordeal I am much tougher than before, you won’t see me complaining about the trivial problems in life”. “I never expected becoming a trainer to be easy and I am grateful for the support I have already got through the industry, I just need to get over the final hurdle and then I can get down to getting winners for my potential owners. Money is the key to everything, being a trainer is no different. The start-up fee’s would scare anyone, I’m just remaining focused and hoping the racing community will help me further. We’re generally a close-knit sort of family and I have every faith everything will come together for me” added Toomey. Next WERE WOULD IRISH RACING BE WITHOUT O’LEARY?